I haven't come up with a name for my new machine yet, any suggestions? I did manage to have a bit of a play on it before we left for Wakayama. 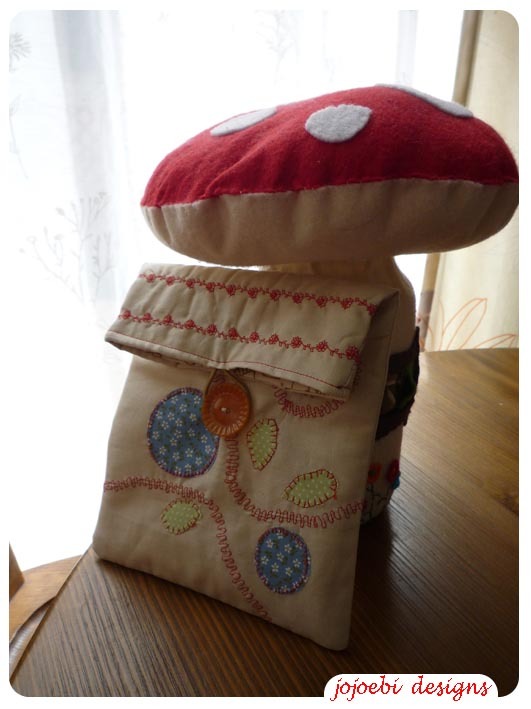 I wanted to try out some of the stitches and applique so I made this little pouch as a thank you present for my neighbour Tammy, who helped me out with the translation when the dealer came to show me how to use the machine. I realised too late that I had a needle which was too big so the cotton is a bit pulled. The English manual arrived when we were away so now I can get down to really learning the ins and outs of it. It's cute! The pulling looks like you did it on purpose for a crinkly look. Seriously.